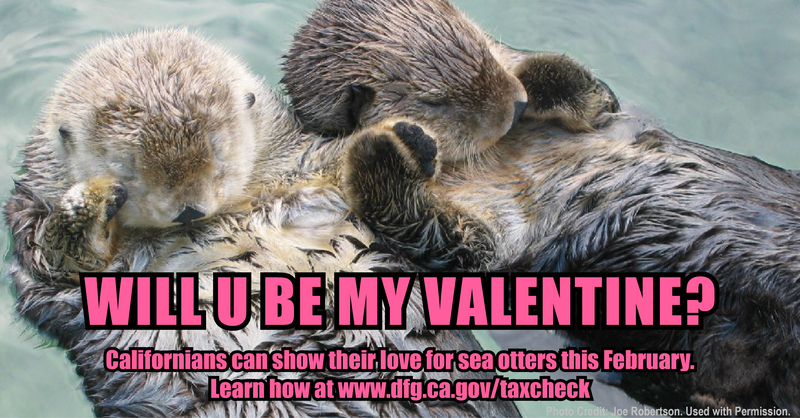 California Sea Otter Fund Valentine. Joe Robertson photo used with permission. California Sea Otter Fund on your California income tax return. Just enter the dollar amount you wish to donate on lines 403 and/or 410 of your tax return (form 540). If you itemize deductions, you can deduct the amount you donate on next year’s return. One of CDFW’s tax donation funds facilitates recovery of the southern sea otter, which is listed as threatened under the federal Endangered Species Act and as a Fully Protected Species under state law. A 2014 survey indicated there are fewer than 3,000 sea otters in California waters – a fraction of their historic numbers. This small population is vulnerable to oil spills, environmental pollution, predation by white sharks and other threats. Donations to the California Sea Otter Fund support research by CDFW scientists, who are currently studying 15 years of sea otter mortality information and recently discovered viruses not previously known in sea otters. These studies should provide a better understanding of mortality causes and contribute to population recovery efforts. Santa Cruz long-toed salamander: Known to exist in only a few locations in Santa Cruz and Monterey counties. CDFW works with the U.S. 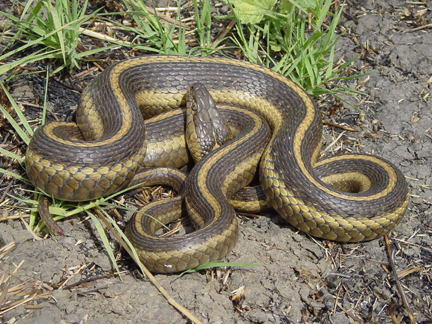 Fish and Wildlife Service and the Santa Cruz County Resource Conservation District to create and enhance habitat for this species on preserves that have been set aside for its conservation. 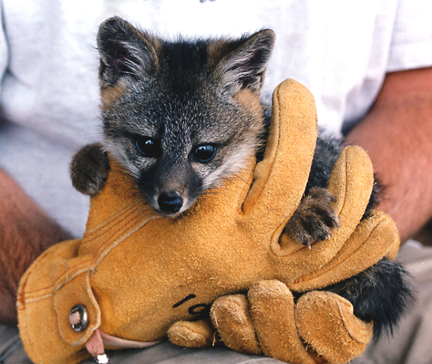 Island fox: Small foxes that live on the Channel Islands off of Southern California. CDFW has worked with public and private partners to increase the number of foxes on all of the islands from a few hundred to more than 5,800 foxes. Yellow-billed cuckoo: Rare and secretive birds that have declined markedly with the destruction of riparian habitat in California. CDFW is working with multiple partners to survey and monitor them and to implement recovery actions. 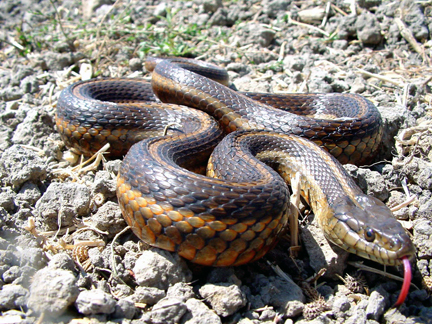 Giant garter snake: A highly aquatic snake whose marsh habitat in the Central Valley has likely been further reduced in some areas by drought. CDFW has been working with the multiple partners to ensure water is delivered to important areas for the species’ survival. 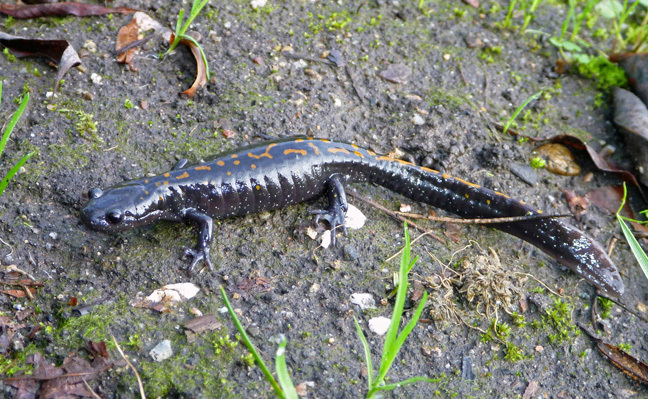 California tiger salamander: The vernal pools that this species typically breeds in have also likely been impacted by the drought in some areas. CDFW is working with multiple partners to coordinate studies of these colorful salamanders and to protect their habitat. CDFW biologists have been able to achieve important recovery milestones to conserve vulnerable species, thanks to California taxpayers like you. More information about how CDFW uses funds in the Rare and Endangered Species Protection and Sea Otter programs is available at www.wildlife.ca.gov/Tax-Donation and www.facebook.com/SeaOtterFundCDFW.